It was so great to meet you all at the Baby Show this year! 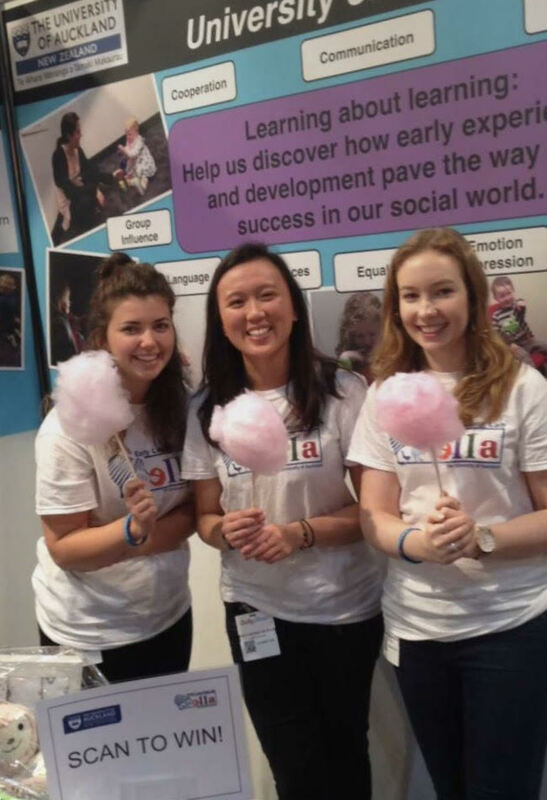 We want to give a big ELLA thank you to all the families that signed up to get involved in our research on research on infants’ learning and development. The aim of our world-renowned research is to better understand how infants and children think and learn about their social world. We aim to better understand the world of our society’s youngest members, and hope that in so doing we might be able to make their world a better place. Our studies often involve guardians bringing their infants/toddlers into our lab where they play interactive games with a researcher or another child, solve puzzles, or watch videos of interesting events. We are interested in how children respond to these new and exciting experiences. If you are interested in hearing more about the kinds of studies we have running, head to our sign-up page and we will get in touch! In the meantime, support us on Facebook (facebook.com/EarlyLearningLab) to keep-up-to-date with our studies and results. Also, feel free to send our information to your friends and family we are always looking for new families to get involved in ELLA research! If you have any questions or would like to know more, please feel free to email or call us (09 923 4236). ← Visit us at the Baby Show!